It is tough to create a new product, even when it is based on a long-time favorite product of consumers. Just ask Hormel Foods about its short-lived Spam Snacks. 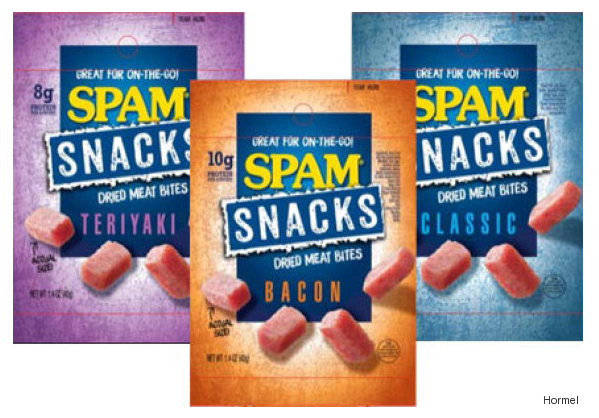 Last year, Hormel took its long-time, popular Spam product and revamped it into a snack-sized portion called Spam Snacks. The canned meat was converted into bite-sized pieces and offered in bacon, teriyaki, and classic flavors. Each serving contained 8 – 10 grams of protein. Unfortunately, Spam Snacks will be discontinued at the end of this summer. According to the company, the “decision to discontinue Spam Snacks came following post-launch review of consumer and sales metrics, which didn’t meet our initial expectations.” The product was carried in some of Spam’s traditionally strong markets of Hawaii, the West Coast, and Southeast. There’s no shame in failing – as long as we learn from previous mistakes. What other product might work as revamped snacks? What would you buy? Discuss the stages of the product life cycle. What are the marketing objectives in each stage? View various products, including Spam. Poll students: What other snack foods have entered the market? What snack foods do they buy? Divide students into teams. Have each team draw a product life cycle and place various products and services into each stage. Next, have students brainstorm on how to reposition or revise products/services to that they can move into an earlier stage of the life cycle.